“Life comes from life. Life protects life.” That’s what Taoist mysticism says. Like all mystical traditions of the world, it assumes that we humans are completely connected to life. 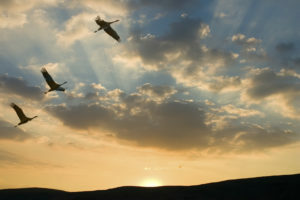 Experiencing this connection to life and to oneself is the most important step of self-healing. This may shake your idea of who you are, but on the path to healing and vitality you will come into contact with your inner resources and at the same time experience yourself as part of a greater wholeness. In this sense, healing always includes the idea of becoming whole, and it makes inner arrival, clarity, wisdom and the unfolding of the heart possible. Self-healing is not seen as an exercise at Tao Hamburg, but as a concept. It is an important precondition for experiencing yourself in depth and at the same time it helps to really arrive in your inner self. What do self-healing and vitality mean? Self-healing and vitality are very important topics for many people. 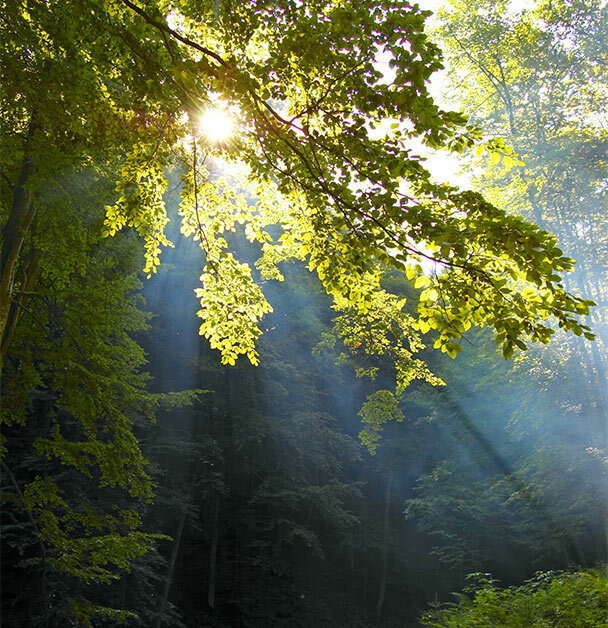 Especially in our time, in which many of us are overstrained and often can no longer properly switch off, it is important to find opportunities and resources that help to experience more vitality and get in touch with our inner sources. Experiencing self-healing and building up more vitality also means breaking the cycle of stress, deep exhaustion and great tension. On a basic level it is about becoming healthier and leaving physical complaints or even diseases behind. For most people the underlying health problem is not just a weakness or a disease, but in most cases it is an overload of the whole system. The barrel is full, as bio resonance therapists would say. Of course, an acute disease requires medical treatment. But those who are concerned with healing and vitality should look at the state of their entire system and start a self-healing process. From a deeper perspective, there is more at stake than complaints or diseases. In the self-healing processes taught at Tao Hamburg, you will experience yourself as a living system interacting with life. Through a process of self-healing and strengthening, which you will learn in the courses and which you are encouraged to practice at home, you will perceive yourself as healthier, more flexible, more alive and more open over time – and thus you will be in contact not only with your inner resources such as heart, libido and inner center and your cells, but also with life itself. You may also notice yourself approaching life in new ways and discovering unexpected possibilities. And you might relate to people differently: as a living open system. You will feel that you have arrived in life and younger than you actually are. More and more often you will experience inner peace, joy and states of serenity. To reverse the negate development, our main focus is on the human being and not on the form. Don’t get us wrong. Someone who learns and practices Taiji will also feel better. But deep healing starts with what you really need. What’s the next step for you? What should you actually do, what does your system need? An experienced teacher can often perceive this better than the people concerned themselves. In practice, this may mean making an appointment with Carsten Dohnke to clarify the situation. Or you can take part in one of his courses, in which there is always individual feedback. You could also request individualized “homework” by asking which of the newly acquired forms or practices is of particular importance to you. This might be two Qigong movements and/or a certain meditation. Experience shows that in many cases it is beneficial to practice a limited number of forms at home regularly. 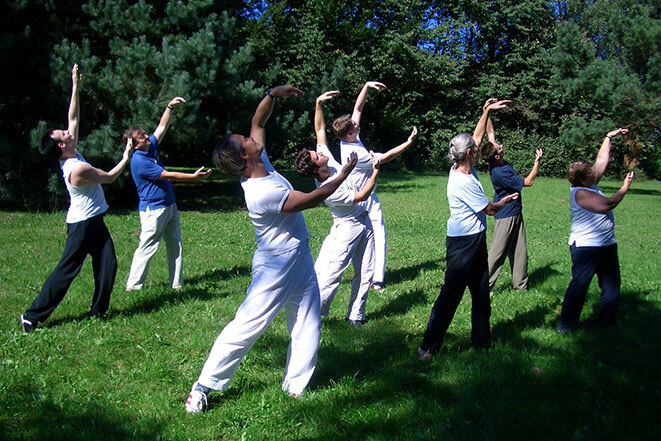 This can be a combination of Qigong and physical exercises that stimulate and strengthen the body, and healing exercises such as the Inner Smile for the organs. Sometimes it is advisable to change your diet or supplement it with herbs or vitamins. For most people the time and energy they are going to devote to their self-healing depends on their focus rather than on their time. But it should not produce additional stress at this point in time. It’s better to start with a small step than to take on too much. 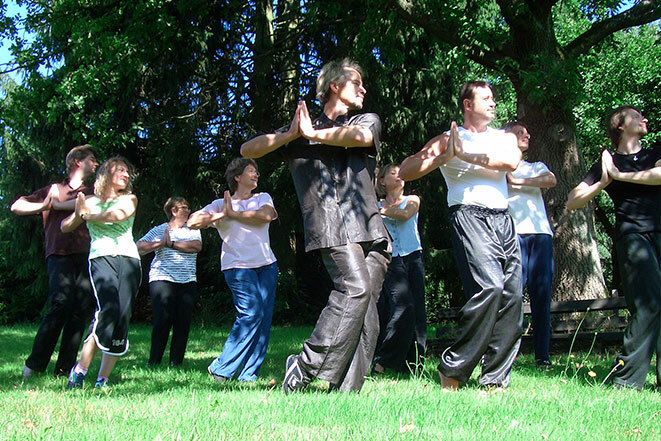 In general it is good to combine movements like Qigong – or exercises that give us a better posture and strength – with stillness and inner Qigong practices, which have a direct effect on our cells. It depends on what you want. If you want to strengthen your presence and really arrive in life, there are also special exercises that strengthen bones, muscles and tendons. Pure relaxation is not enough for vitality. Take a look at the following list and follow your heart. What appeals to you, what makes your heart leap? This could be your starting point for your self-healing. Or take this personal aspect as starting point of a consultation with Carsten Dohnke. Strengthening the center of your body – this important concept of traditional Chinese medicine (TCM) leads to stability and vitality. See also: Stärkung der Mitte On the psychological level this means: only when I have arrived in myself, in my center, can I open myself to the world and to life. Gaining access to inner resources: heart, organs, energy in the abdomen, pelvic floor energy. 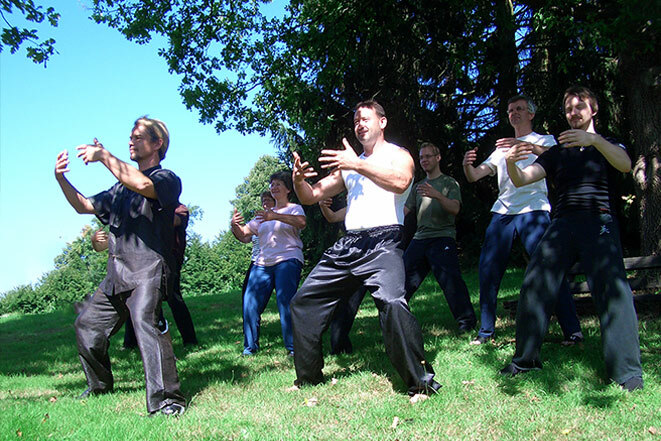 Guiding new information into the cells – through simple Qigong practices such as the Inner Smile or Healing Sounds. What additional support can Western preventive medicine and traditional Chinese medicine offer? Especially if you have already spent a few decades on this planet, it can be important to seek help from doctors and alternative health practitioners who work according to Western or traditional Chinese medicine in addition to doing exercises and meditations. Important points can be cleansing your colon and rebuilding intestinal flora, the discharge of mercury and other pollutants and an examination of the blood count. It also makes sense to check whether there is a general lack of vitamins in your system or whether there are chronic inflammations. A change in diet to natural food, the addition of vitamins C and B, but also magnesium and calcium often support healing processes. We recommend a general check-up and appropriate professional advice.